Welcome to the Mercure Bordeaux Cité Mondiale Centre Ville hotel. Take a 15-minute walk along the bustling quaysides to visit the Cité du Vin or the historic center of Bordeaux. We wish you a pleasant stay. Located on the banks of the Garonne, the 4-star Mercure Bordeaux Cité Mondiale Centre-Ville hotel welcomes you for an unforgettable stay. The hotel has 97 rooms and 5 meeting rooms, all decorated in a warm, contemporary style. It is the perfect location for family leisure stays or business trips thanks to its business time+ program. 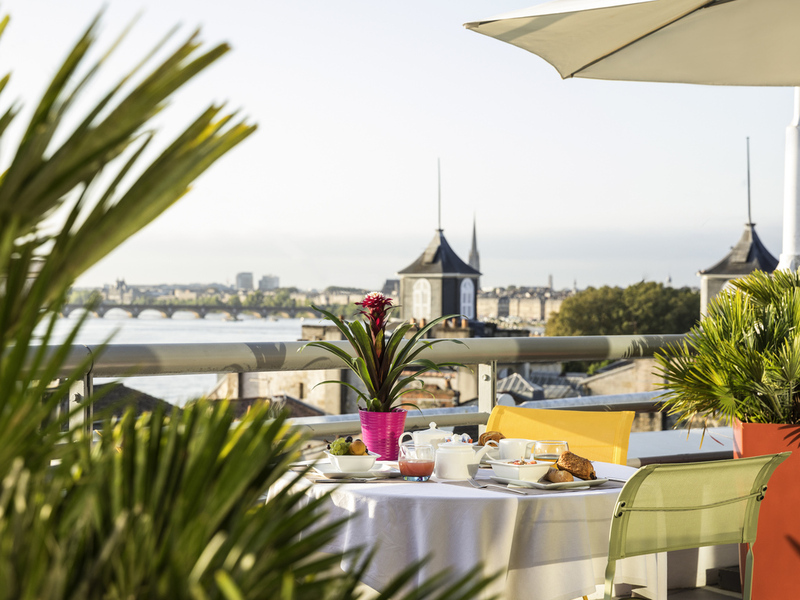 Take a moment to relax and enjoy the most beautiful panoramic view of Bordeaux from our top floor terraces. Just a stone's throw from the Place des Quinconces, the hotel is located between the historic heart of Bordeaux and the Cité du Vin, a unique area dedicated to winegrowing. Uncover all of Bordeaux's main sites from our hotel. Choose from our range of spacious and comfortable rooms: renovated Standard or Superior Rooms, Family Room or Junior Suite upon request.